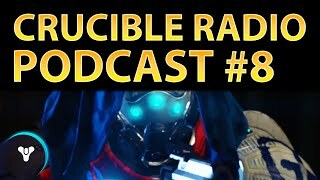 Welcome to another exciting episode of Crucible Radio – Planet Destiny Edition! Bones, Birds and Swain are more than thrilled to be teaming up with Planet Destiny to bring the community tons of helpful resources and advice. The guys cover an interesting article on Destiny Tracker about the usage of subclasses, and talk about the ones that don’t get a lot of love. Then they discuss what it means to be a “team captain”, calling plays and winning matches. tripleWRECK stops by to say hello and give us an inside look into streaming, competitive play and how Destiny brings people together.